Winter Club Fair: It’s never too late! It’s a new semester—which means more chances to get involved at Bates. On Wednesday, Jan. 9, over forty of Bates’ clubs and organizations gathered in Chase Hall to educate students about their plans for the winter and recruit more members. The Office of Campus Life sponsors this mid-year club fair as a low-stress alternative to the noisy crowds at the Gray Cage during the first week of fall semester. “The fall club fair can be a little bit overwhelming. The Gray Cage can get really loud, and even though it’s very exciting, we wanted to do a mid-year one that was more relaxed and had a less intimidating atmosphere,” explained Jen Haugen, Coordinator of Campus Life Programming. Club leaders and representatives set up tables in four different rooms throughout Chase Hall: Chase Lounge, Skelton Lounge, Memorial Commons, and Hirasawa Lounge. This set-up allowed students to stroll leisurely and easily seek out the groups they were interested in—each room was also paired with different pizza varieties. With a better grasp of their time management skills, first-years can be more strategic and thoughtful about which clubs they choose to sign up for. “We realize that first-years now know their schedule and how much they can handle, so they won’t end up just putting their emails down for everything,” added Haugen. 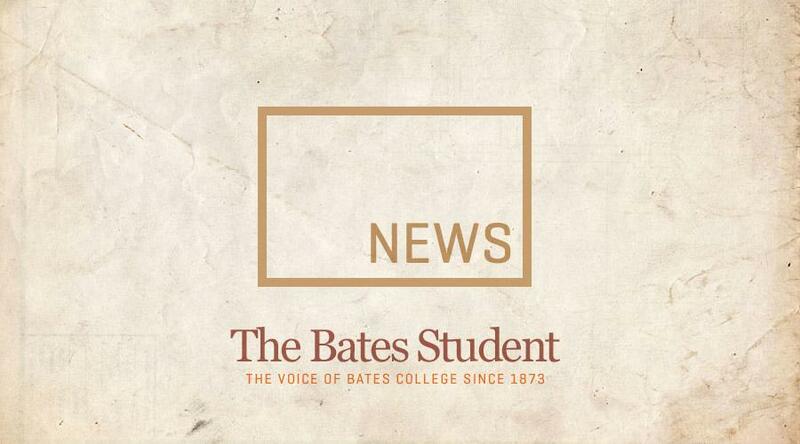 Many of Bates’ clubs and organizations have exciting plans for the upcoming semester. For example, the Ballroom Club is looking forward to their performance at Gala in March. “I think we have a bigger group than we did last year, so we’re really excited about it,” said the club’s vice president, Joan Buse ’21. The Ballroom Club practices several times a week and competes about four times a year. They focus primarily on rumba, cha-cha, swing, waltz, foxtrot, and tango. When asked why she joined, Jina McCullough ’20 explained: “I’ve been dancing for 19 years and finding a club that allows me to explore different kinds of dancing has been so fun. Everyone in the club is pretty close – even if they’re from different years – because we spend so much time together.” The Ballroom Club always welcomes new members, regardless of experience level. Another club hoping to perform at Gala is the Circus Club. Ben Hoffinger ’22 joined Circus Club at the beginning of the year and speaks highly of his experience so far. “My favorite thing about the club is how willing all the experienced circus folks are to teach you brand new skills and elements of circus that you’re unfamiliar with. For instance, I learned how to walk on stilts just last semester,” he explained. Circus Club meets on Sundays and encourages everyone to come join the fun. Other clubs have their eye on events coming up very soon. For example, Filmboard is screening the film Sorry to Bother You on Martin Luther King Jr. Day next week. Timothy Kaplowitz ’20 describes the film as both critically adored and potentially divisive. “I think it will lead to a lot of discussion and I’m really interested in seeing what the reception will be at Bates,” Kaplowitz adds. Everyone is invited to attend both the film as well as the discussion panel with Bates professors that will follow. If you’re a movie buff or are interested in screening and discussing a specific movie, the Filmboard is the club for you! “At a typical film board meeting, we’ll be deciding on movies to bring in for screenings and planning events for the future. Mostly, we’re just hanging out and talking about movies,” explained the club’s president, David Unterberger ’19. Clearly, there are many exciting opportunities for extracurricular life at Bates. Don’t miss out and take the time this semester to attend some events or meetings for clubs you’ve never heard of. Last year, The Student ran a column highlighting the invaluable work done by foreign language teaching assistants. This week I spoke to Alina Popova, the new teaching assistant for the Russian department. When learning a difficult language like Russian, students stress the importance of a teaching assistant in the foreign language learning experience.